Callie is in love with Theater, and is a set designer for the upcoming performance of Moon over Mississippi at her middle school. She has big plans, but only a middle-school budget. Besides that problem, real drama soon arise between actors and crew members. And Callie may be developing a crush when twin boys enter the scene. How can she navigate through this all-around drama? Drama is right! But, at the same time, this book felt pretty realistic. Callie is a great character; she's confident in her abilities behind stage, but can get flustered by the guys in her life. She's definitely not perfect, and has some great depth. Also, I was surprised by the ending, which I think is impressive—it's not easily predictable. Of course, middle school isn't all that predictable. Kids are trying to figure out who they are (and, perhaps, their sexual orientation) and Telgemeier does a good job of tapping into that. Overall, the story was a good one and I appreciated the theater-drama theme that permeated the whole of it. This is a graphic novel, and reads pretty quickly (I read it during my lunch break). I think it makes a great option for kids who don't like the traditional book format, and it's a good story—so a win-win for them. 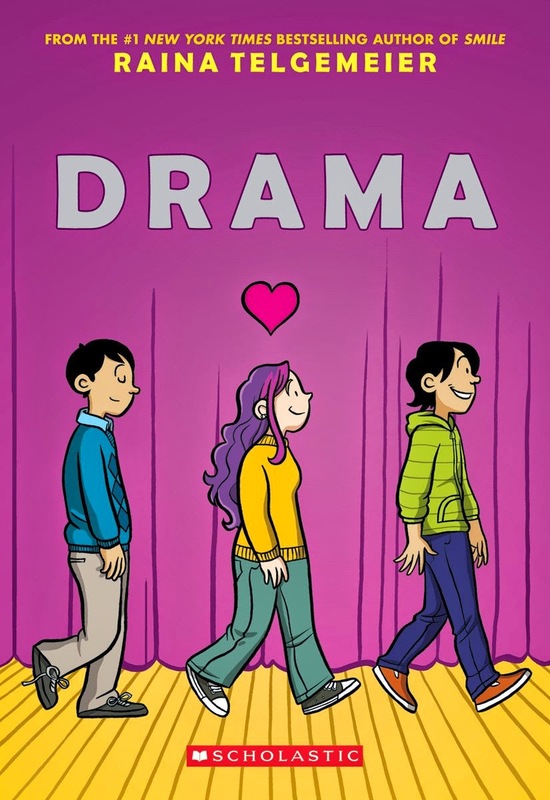 It's a good true-to-life book that could help some middle-schoolers. Overall? Not really my personal preference (the reason for 3.5 instead of 4) but I would still recommend it to the right person.